Traffic Law | Christopher M. Sierra, P.A. Need help with your civil or criminal law case? Attorney Christopher Sierra can help. You might think of a traffic ticket as no big deal, but it could have a big impact on your driving record if you don't take the proper steps. Christopher M. Sierra, PA can help you when you’ve been charged with a traffic violation. Our attorneys will represent you and strive to keep you from losing your license. We’ll also work with the judge and assistant district attorneys to get your case dismissed or negotiated down to a lesser charge that will have a lesser impact on your record. No matter what you’ve been charged with, we’ll work to secure the best results possible. 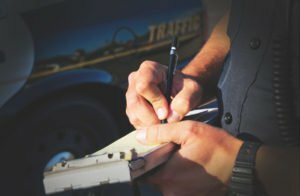 Keep a ticket from ruining your driving record by reaching out to Christopher M. Sierra, PA.
We’ll provide sound legal counsel throughout the legal process and personally represent you in the courtroom. Reach out to Christopher M. Sierra, PA to learn more. Call or fill out this form to get started. © 2019 Christopher M. Sierra, P.A.